For one weekend only in September, some of London’s most beautiful, historic and intriguing buildings open up their doors and reveal their secrets to the public. Started 25 years ago, Open House London is the biggest architectural festival in the world. For 48 hours, you can access more than 800 unique buildings, walks and tours across the city. And it’s all free! Open House London was founded to help people enjoy the places where they live. And just like us, Open House London are big on local community, aiming to encourage people to take a more active role in shaping their local areas. They have pulled some incredible venues out of the bag this year, including 10 Downing Street, the BT Tower in Fitzrovia, the exquisite former Granada Cinema (now Gala Bingo) in Tooting, and Churchill’s underground wartime bunker in Neasden. People in South East London certainly won’t be short changed either, because there are sites in the programme across all the city’s boroughs including Greenwich, Lewisham, Bexley and Bromley. We’ve selected a few highlights local to us that that caught our eye to share with you. See Bowie’s haunts and hear his stories during this two and a half hour walking tour in Beckenham. Bowie’s time in Beckenham was some of the most important for his musical career, as he came into his own as a songwriter, started up the Beckenham Arts Lab, and performed his famous concert as the headline act at the Bowie Bandstand. Step into Bowie’s shoes (red, of course, to dance the blues) and get a little close to his everyday life. Where? Station Approach, Beckenham BR3 1HY, meeting outside the main entrance of Beckenham Junction station. The history of the Bromley Civic Centre goes back further than you might think – manor houses were built on this land as early as the 10th Century. The Old Palace is one of the buildings that makes up Bromley Civic Centre and the building dates back to 1775, when it was the official residence of the Bishops of Rochester. Since then, it has also been a rich businessman’s estate, a girls’ finishing school and a teacher training college. This is your chance to explore inside this building, which is listed as being of special architectural and historical interest, and is normally closed to the public. When? The palace is open on Sunday 23rd September between 10am and 2pm. Did you know that lurking underneath Crystal Palace Parade is a spectacular example of Victorian architecture? The subway was originally built to connect the Crystal Palace and the High Level Station, and it played an important role in WWII when it was used as an air-raid shelter, complete with 190 bunk beds. Music fans might also recognise it from the video for Setting Sun, the Chemical Brothers’ first number 1 single . It’s now only open for special occasions, so this is a rare opportunity to see the stunning architecture for yourself. 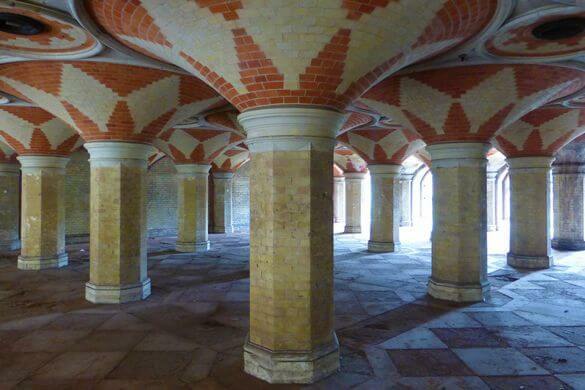 Visit the Friends of Crystal Palace Subway website for more information. When? You can visit the subway between 10am and 5pm on Sunday 23rd September. Where? Crystal Palace Parade, SE19 1LG. Designed by Captain Richard Ryder, a surveyor of Sir Christopher Wren, Bromley and Sheppard’s College was built in 1666. In its original design, there were 20 separate houses which were used as homes for clergy widows and their daughters. These have now been made into flats, but the building still serves its original purpose. It’s a little more liberal now – clergy widows, retired clergymen and their families, divorced and separated spouses, or daughters/ stepdaughters of former residents can all apply to call Bromley and Sheppard’s College their home. When? The college is open on Saturday 22nd September, with tours at 10am, 12pm and 2pm. There’s a maximum of 25 people per tour, so you’ll need to book ahead. Call 020 8460 4712 to reserve your place. Where? London Road, Bromley BR1 1PE. Entry is through Wren Gates. If you make it along to these fascinating spaces – or any other local Open House event – please let us know. Share a picture with us on Twitter or Facebook.